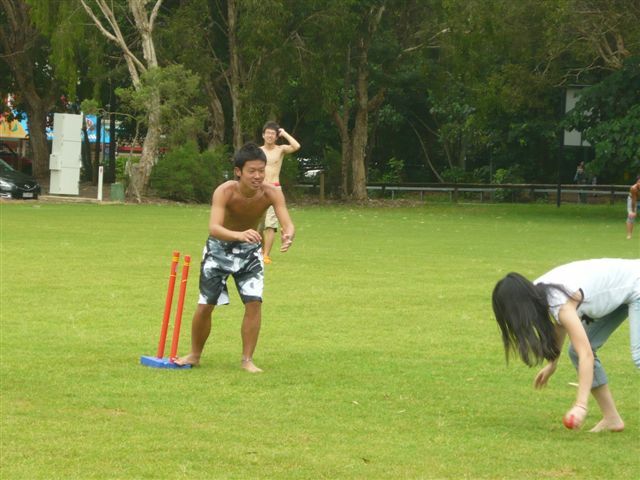 At GV Noosa, students get to experience true Aussie sportsmanship in a game of fictional cricket. Two of our new French starters Damien and Jimmy, were appointed captains. Japanese Kindai students seemed to think Jimmy resembled the likings of Jack Sparrow (Johnny Depp from Pirates of the Caribbean) and he happily took on the name for his team. They decided Damien suited the character of Captain Davey Jones (scary looking guy with the squid beard). 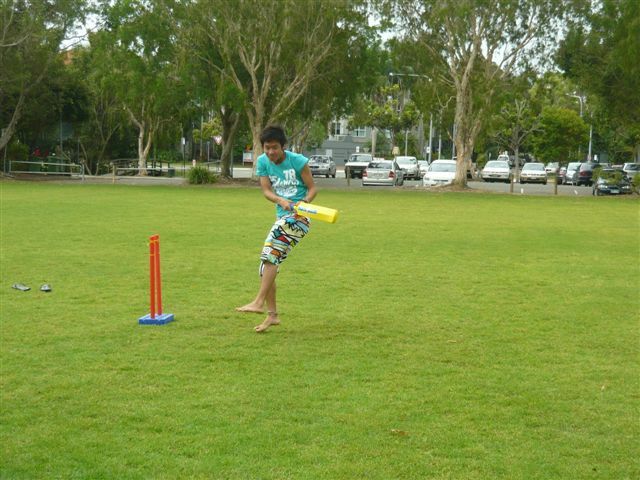 The two teams hit a few four’s and scored a thereabouts of 28 runs per side. It was very much a tie. 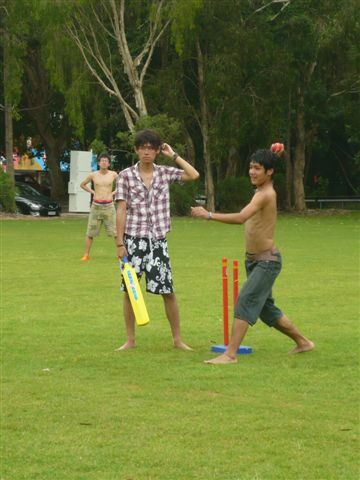 There was much fun sliding from pitch to pitch and many balls were caught in field play. It was another fun afternoon in Noosa.